You know what they say: if you didn’t snag your tights and throw on a laced nightgown in the 1990s you really weren’t there. Oversized plaid shirts, babydoll dresses, lingerie as outerwear, parkas and the union jack on everything – the ’90s really was the decade that shook up the fashion and music world and put Swinging London back on the map again. It was also the decade that saw grunge do battle with Britpop, Blur squabble with Oasis and riot grrrls step over the carnage to reignite feminism for a new generation. Which is what we’re celebrating today: the strong women who struck it out on their own and paved the way for feminism today. Why? Their wardrobe was always a major part of their empowering message. London’s Hilton Hotel was the setting for a dress that would come to define the 1990s. The occasion was the Elite Model Agency’s ‘Look of the Year’ contest in 1993. At this moment, 19-year-old Kate effortlessly trumped everyone there with the look of the decade. This etheral, mermaid-like metallic creation by Liza Bruce made the slip dress the outfit every woman wanted to try but very few would be able to pull off. It was the cult TV series that so painfully and succinctly summed up teen-angst we’re still watching it decades later. And then there were the clothes. We’re still crushing over Angela Chase’s (played by Clare Danes) ’90s layering – plaid dresses slung over oversized jumpers, button-down florals, tie-dye tees and clunky DMs. And who could forget wild child best friend Rayanne Graff? Like a young Courtney Love, she rocked the layered, lingerie look like a pro alongside candy accessories, ripped tights and dungarees. And as for her hair? Crimped, braided, knotted: she rocked them all. Which leaves us with just two words: Jared Leto. Forever remembered as soulfully dim-witted heartbreaker Jordan Catalano in that sherpa-lined jacket. She ripped up vintage and we couldn’t get enough of it: 1930s bias-cut silk gowns, customised and worn with laddered stockings and backcombed hair, babydoll dresses and lingerie peppered with chunky accessories. Courtney’s disheveled style was – like husband Kurt’s – all about anti-conformity. A lover of beautiful and feminine fashion, she snagged the seams to create a new fearless aesthetic. Ethereal flower crowns and tongue-in-cheek tiaras coupled with chunky boots and a mischievous grin. The nineties anti-pop princess had landed with an almighty crash. Rumour has it that Gwen Stefani began wearing bindis in the ’90s after being inspired when she attended a family gathering with bandmate, Tony Kanal. The look soon caught on in 1995 when No Doubt’s ‘Just A Girl’ hit the charts. In the video, Gwen commands her space in the men’s loos in a tank top, sporting a bindi and red lippy. Teen girls followed in their millions. As radical with her wardrobe as her performance, Kathleen Hanna – lead singer of feminist punk band Bikini Kill – didn’t just express the Riot Grrrl feminist movement with music and words but with clothes too. Who could ignore Hanna’s micro red dress with two words displayed across her chest, ‘KILL ME’, or when she performed to a sweaty crowd in a pair of knickers and a tank top, the hem frayed, bikini line unshaved? Hero. 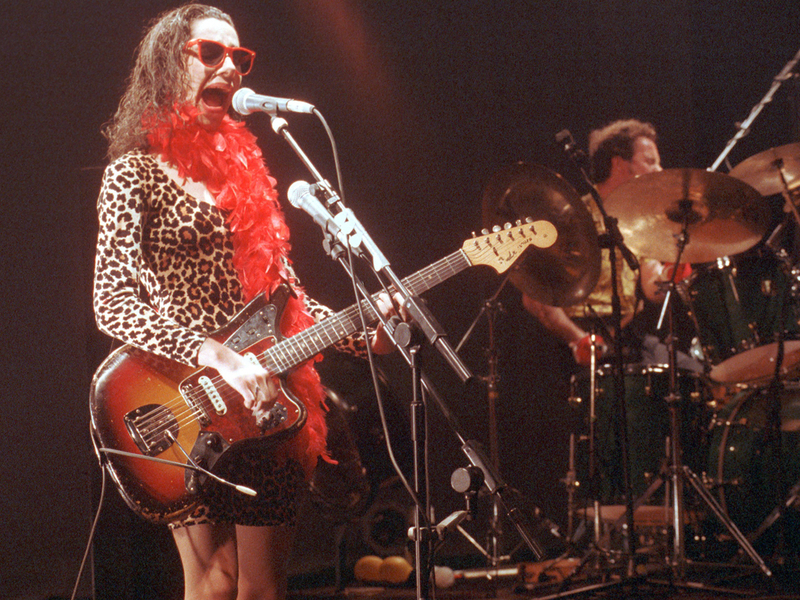 PJ Harvey packed a punch, not only with her music but with clothes too. Not afraid to have fun with her on-stage persona, the 1990s saw Peej mix things up like a kid playing dress-up. Leopard print, feather boas, turquoise eye shadow, PVC catsuits and snakeskin platform boots: Polly Jean was – and still is – a fashion force to be reckoned with. Forget Sarah Jessica Parker, Chloe Sevigny was the original New York “it girl’, effortlessly cool, transforming street wear into flashes of art, influencing major fashion brands, clambering to copy her clothes. Sevigny’s style was – and still is – entirely of her own making, favouring vintage discoveries over high-end brands to create a unique, eclectic look. These days, Miu Miu and Chloë can’t get enough of her but it was the 1990s that shaped and moulded her distinctive style. We may bat around the words ‘style icon’ pretty regularly these days but this Icelandic star really is one. Let’s face it, who didn’t attempt to copy those hair knots in the ’90s? Bjork was always entirely her own creation and her iconic look during this decade came to represent the singer – not just as a musical, but a fashion non-conformist too. 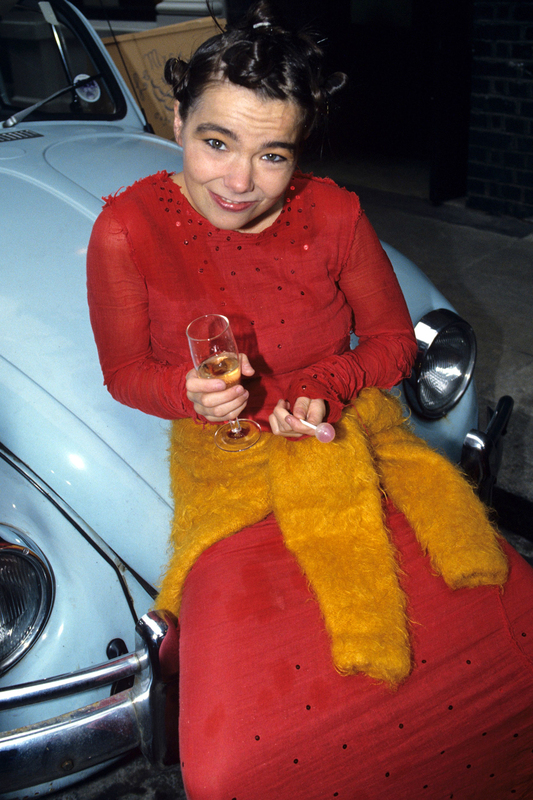 Bjork’s nineties style was minimal and stark, yet incredibly vibrant, fresh and daring. Wild-child Drew Barrymore could have shared a wardrobe with Courtney Love in the 1990s. A sucker for daisies clipped into her bleach blonde locks, Drew took the grunge trend and made it endearingly cute. Encorporating a touch of gothic – chokers, dark lipstick, crucifixes – Drew’s ‘flower power’ approach was always styled with an edge. Even in 2015, ’90s Drew is still our style inspiration.